I was really looking forward to be Mythe Barn wedding photographer for Harriet and Jack. When I first met the couple, I was pleased to learn that they were very relaxed and laid back. 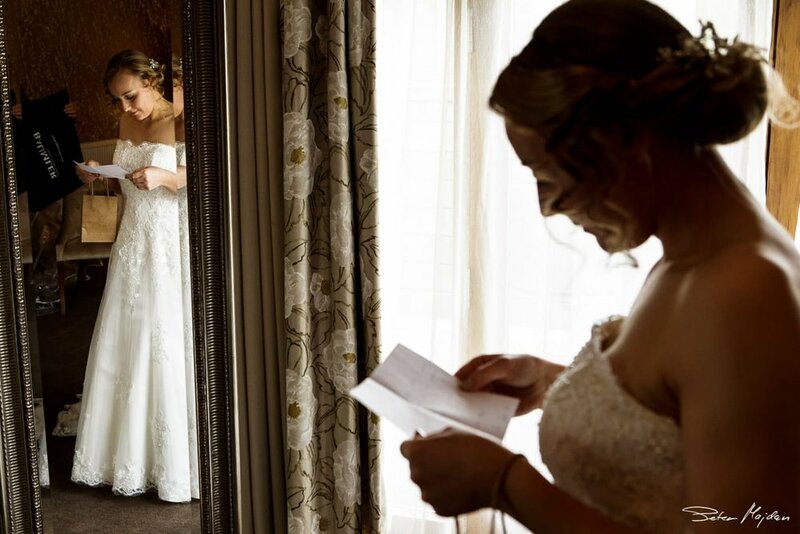 Getting married can be incredibly stressful, so knowing that a couple are likely to take a relaxed approach to their big day is always good news to a photographer who is trying to capture natural wedding photos of them. This was the first time that I photographed wedding at Mythe Barn, so, I decided to arrive early at the venue in order to get a feel for the lighting and any key areas that would work really well for photography. I was really pleased to see that it has some great natural light and that there were some lovely places to act as a backdrop for wedding photos. Harriet and her two bridesmaids began to get ready in a small room that was based upstairs within the Barn, however, the big moment, when she got into her dress happened in the honeymoon suite, which not only had a beautiful golden colour, ideal for natural wedding photos, but also had a large window and a full size mirror too. 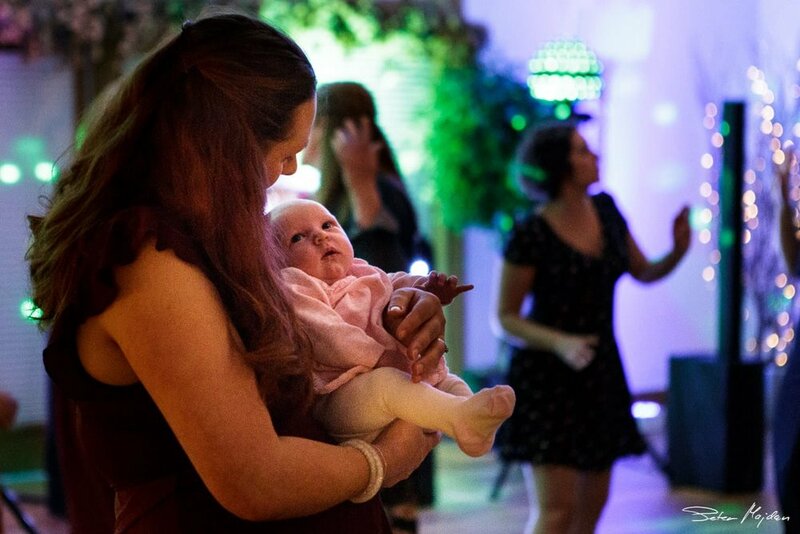 Harriet was incredibly emotional at this moment in time, which really helped to capture some truly special images. Whilst there were some visible signs of nerves with Jack, he had an overall feeling of being relaxed and ready to say those special vows. The ceremony itself was incredibly beautiful and packed full of emotion. After ceremony whole wedding party went outside for a few relaxed family group photos. As documentary wedding photographer, I do group photos very quickly so that couple can spend as much time as possible with their guests. Afterwards I took newlywed for short walk to create a few wedding portraits. Nothing heavily posed, just relaxed walk to use lovely natural surroundings of Mythe Barn and create portraits with personality. The wedding breakfast and evening reception in The Grain Store was beautifully set up with simplicity in mind. All the guests were having a great time celebrating this special wedding until late night. As you can see, Jack and Harriet had an absolutely amazing wedding day and whilst this was largely down to the couple and their love for one another, it also had something to do with the stunning venue too. Mythe Barn is set within the Leicestershire countryside and manages to effortlessly combine rustic and contemporary style, which is no easy feat to achieve. The venue itself is offered to you completely exclusively, which means that you will have it all to yourself. 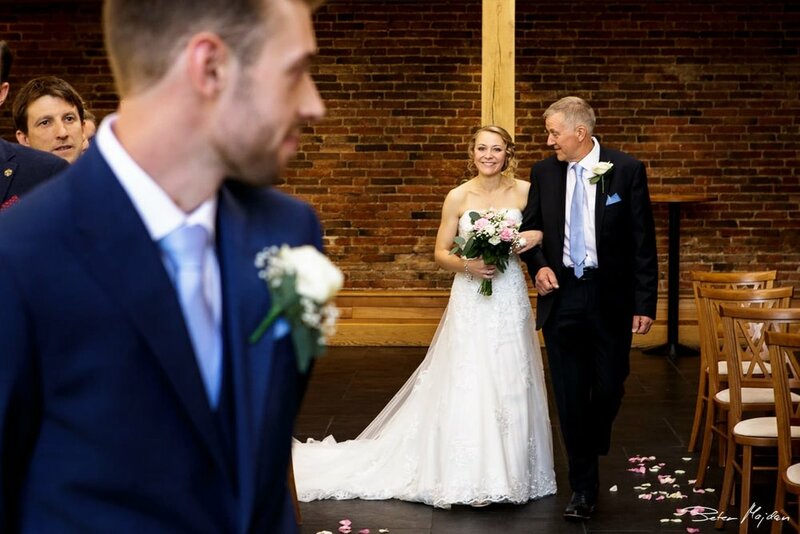 Within this exclusive venue you have a number of different locations to use, all of which have their own special touches to add to the feel of your wedding day. There is something truly impressive about The Oak Barn. The setting for your wedding ceremony, this barn reaches up two floors high and comes with full height windows and sky lights, which ensures that the entire space is flooded with light. If you like the idea of having live music play as you enter or leave your wedding ceremony, then you can opt to have them located on the minstrels gallery, however, as we found during the wedding of Jack and Harriet, this can also be an ideal location for wedding photographer to capture some unique shots of ceremony or first dance. If the weather is looking good, then you can choose to have your wedding drinks in the Courtyard rather than The Cart Barn, south facing which means that it soaks up plenty of light, The Courtyard contains plenty of seating and parasols which makes for the ideal space for canapés and drinks. If you are getting married in the cooler months or just like the idea of being inside, The Cart Barn is perfect place. The space itself is incredibly light and spacious and whilst it is simple with stone floors and oak beams, this means that it is the ideal blank space to transform your wedding ideas into your ideal wedding venue. When the time comes to enjoy the wedding breakfast and of course the evening reception, The Grain Store is the ideal choice. A more contemporary styled space, the stunning floor to ceiling windows will open up onto the beautiful gardens, giving your guests the chance to take in the picturesque views that the venue offers up. 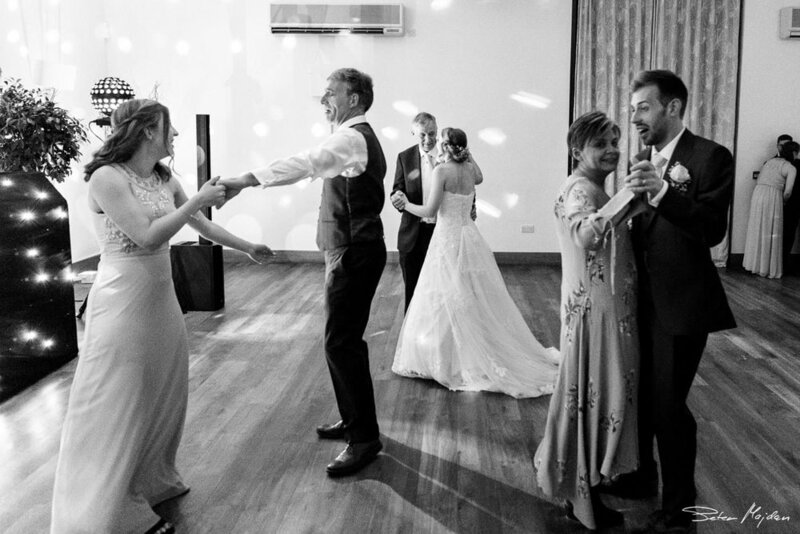 The great thing about this particular space, as well as the rest of the venue of a whole, is that it not only can accommodate a large wedding with guests up to 150, it also feels comfortable enough to have an intimate celebration too. If you are lucky enough to be getting married during the warmer months, then you can embrace an outdoor wedding by choosing to say I do in The Gardens. Beautifully manicured gardens that give you a view of the River Sence, you will be able to officially say your vows under the fairy tale styled oak Gazebo which is fully licensed. 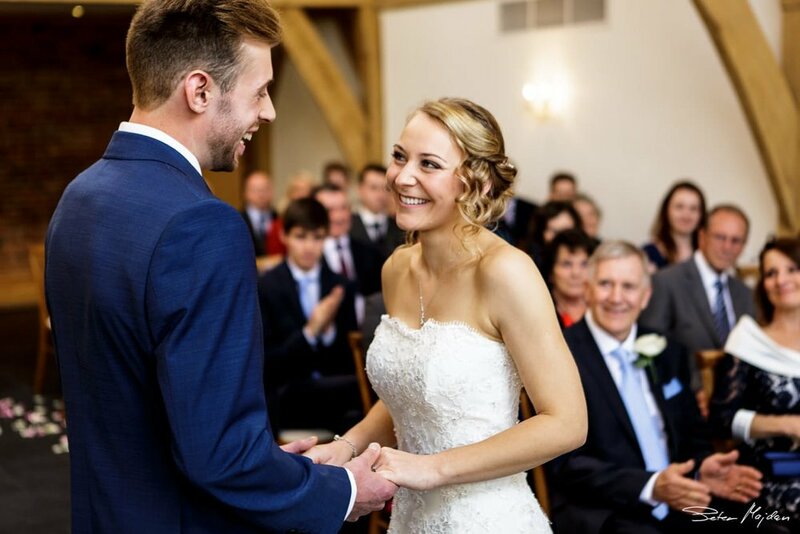 Your wedding guests can also be taken care of when you choose Mythe Barn as your venue, as there is accommodation for them too. 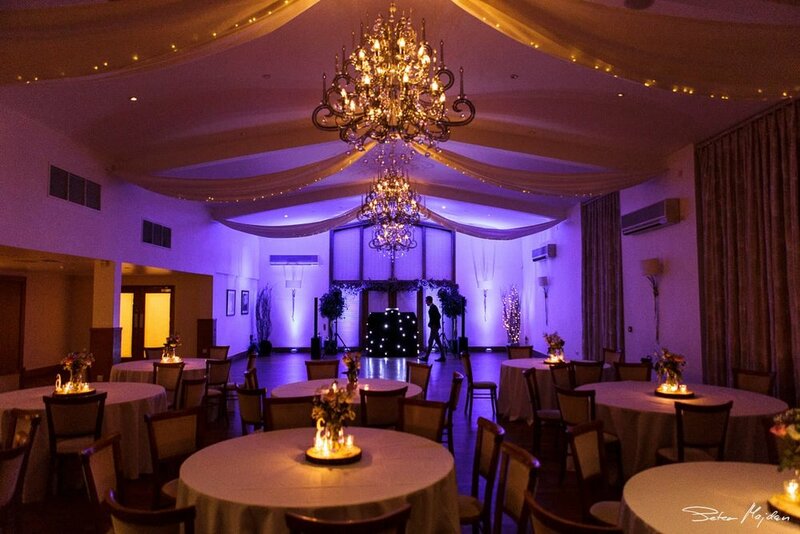 With the same unique theme and style as the rest of the venue, not only will they be able to really enjoy your wedding day, but they can relax and unwind in beautiful and comfortable rooms. The overall feeling of Mythe Barn is one of a beauty, elegance, but also rustic and rural charm too. A difficult balance to achieve. Whilst there is everything that you are going to want from a modern wedding venue, you will also find sheep grazing in the field, stunning scenery surrounding you from every angle and a feeling that you are both completely alone in the world. It was great fun to be part of this special wedding story. If you are looking for Mythe Barn wedding photographer, I would love to hear from you.